Are you planning a move within Worcester or the surrounding area? Then there’s nobody better equipped to handle your local relocation than Liberty Movers! With decades of experience and state-of-the-art equipment, we have the skills and knowledge necessary to simplify your moving process—whether you are moving just down the street or to a neighboring town. There are countless factors to consider when planning a household move, and our crew can streamline your relocation with customizable, full-service moving solutions. From expert packing and crating of your high-value items to personalized move coordination and communication, we are the one-stop shop for managing all of your moving needs. Moving to a new state can definitely be a challenge, but our Worcester residential moving company is more than up to the task. As a trusted, award-winning agent for Bekins Van Lines, we have access to an extensive network of resources and modern, clean equipment that simplifies each step of your interstate relocation. Whether you are in need of nationwide moving services or state-to-state relocation assistance, you can depend on our team to deliver the quality and value you deserve. From small apartment moves to expansive family estates, there’s no job too big or small for our Worcester residential moving company. Starting with a free, in-home estimate, we’ll help you choose the right services for your needs and budget, and our household moving team will walk you through each step of the process to ensure that every aspect of our service will exceed your expectations. As the oldest and largest Worcester residential moving company, the specialists at Liberty Movers have the skills needed to ease the stress of international relocation. From start to finish, we’ll coordinate all aspects of your move by providing you with packing services, customs clearance, and global coordination and tracking to guarantee a hassle-free process. 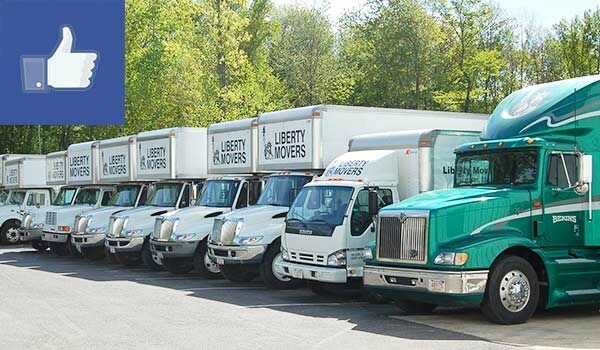 Liberty Movers has been delivering trusted moving services since 1920, and our commitment to customer satisfaction shines through all aspects of our business. When you’re in need of professional local or long distance movers, contact us to learn more about the exceptional services we offer! You can also fill out our online form today, and we’ll be in touch to get you set up with a free, no-obligation estimate.